Get married at a museum! Blaise Castle House Museum is licensed for civil wedding ceremonies, civil partnership ceremonies and naming ceremonies. This beautiful historic house is set in 400 acres of landscaped parkland and has been a museum for well over 50 years. The displays here feature a wide selection of toys and games, intriguing domestic equipment and costume dating from the 1730s to the present day. 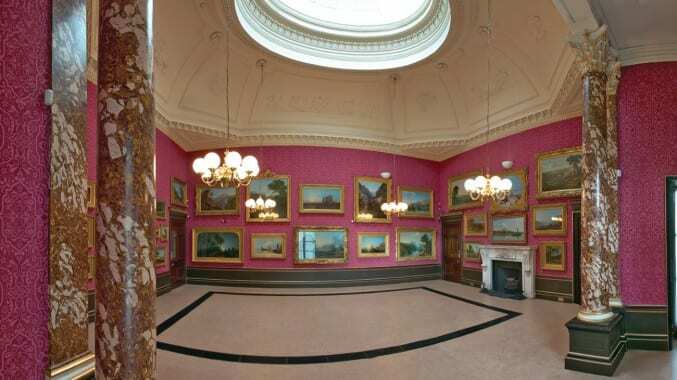 The beautiful Picture Room, with its classical portico and domed glass ceiling, seats up to 60 guests and with standing room can accommodate up to 80 guests. Its walls are decorated with a sumptuous red flock paper, hung with pictures from the fine art collections and lit by four beautiful chandeliers, creating a very elegant setting. All hire prices will be subject to VAT. You can find prices for Registrar’s fees on the Bristol City Council website. It’s your responsibility to book and pay the Registrar directly. In addition to the Registrar’s fees, there’s also a Notice of Marriage payment for each person being married. Blaise Castle House Museum is a beautiful setting for receptions. Your evening could be incorporated outside into the dairy garden and amphitheatre – contact us for availability, we’d love to help you plan it to perfection. Although there are currently no catering services on site we can provide you with a list of caterers who have experience of working at Blaise Castle House Museum. We will use the contact details you have provided to contact you in response to your enquiry. If you would like to be contacted about future offers and special events then please tick the box below. Looking for a truly unique reception venue? 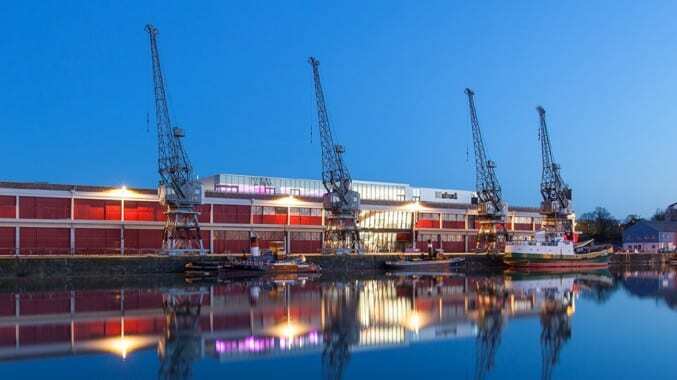 Come and enjoy the incredible harbourside views at M Shed. 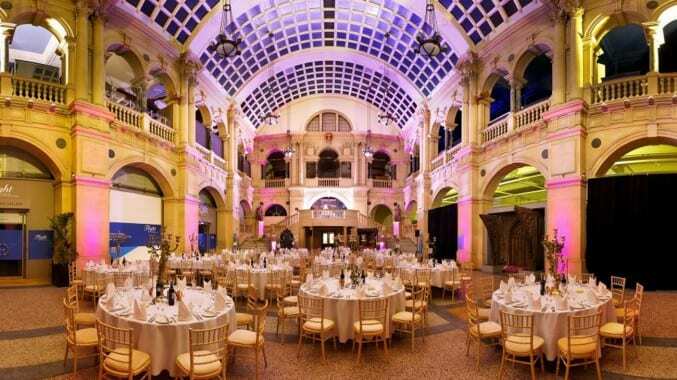 Wow your guests at this landmark venue with incredible Edwardian Baroque architecture - perfect for wedding receptions.